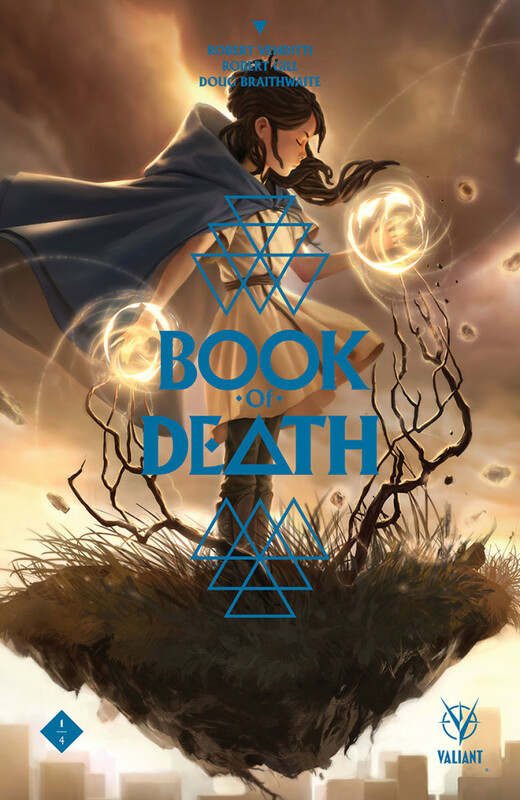 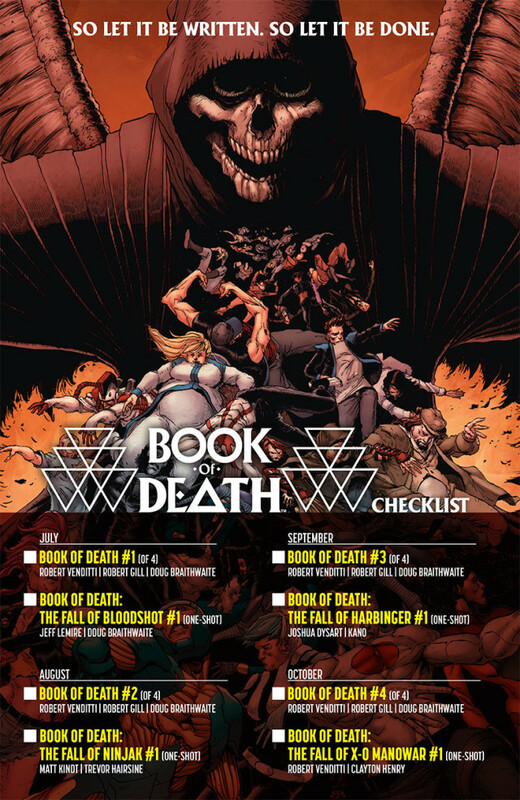 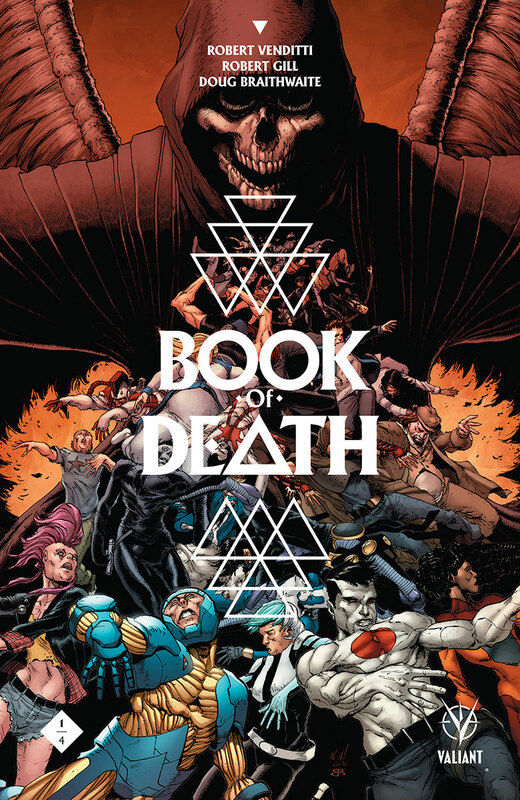 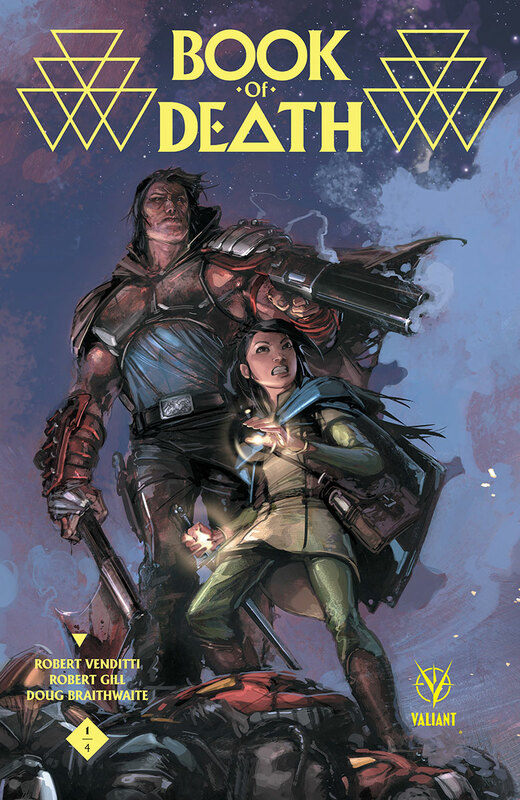 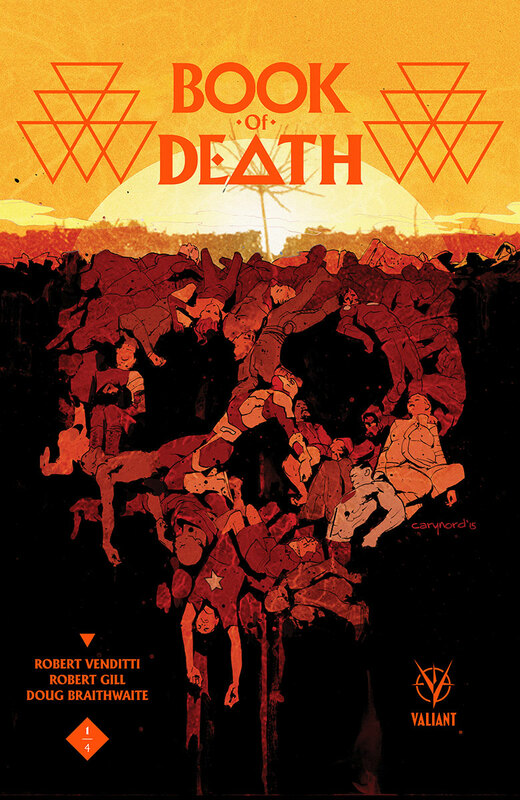 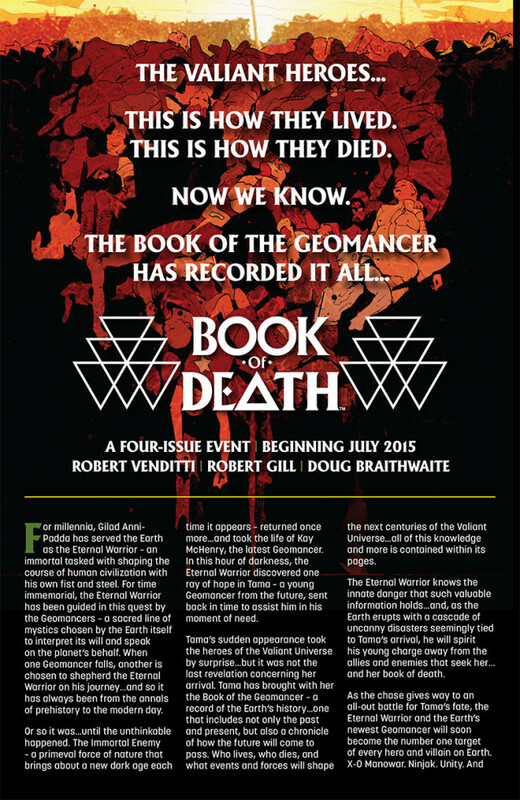 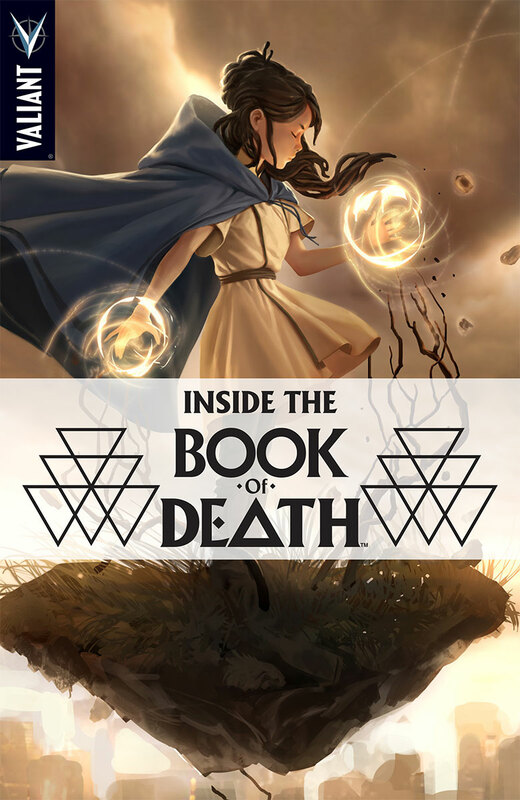 Valiant is proud to announce that BOOK OF DEATH #1 (of 4) – the FIRST ISSUE of Valiant’s astonishing four-issue event series beginning in July – will be the first to debut the new, deluxe ultra-coated cover process! 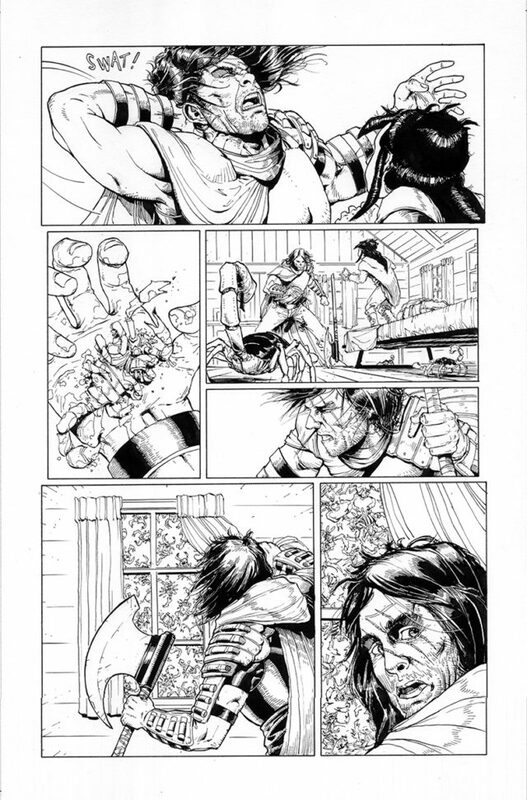 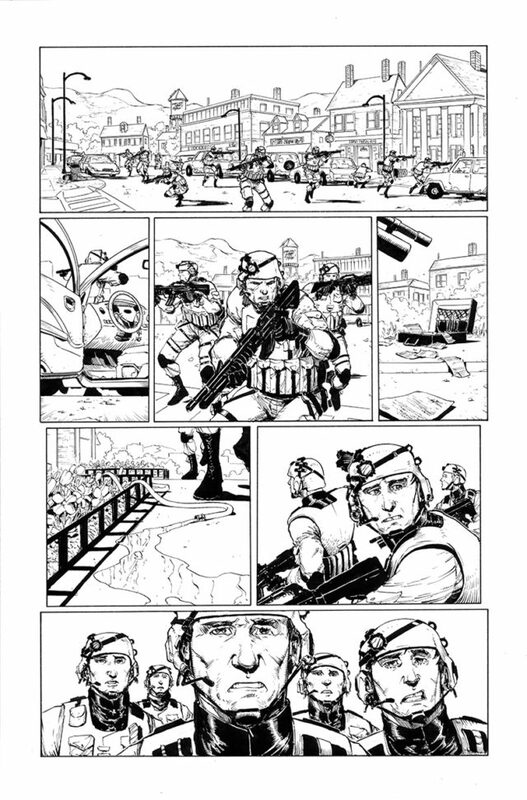 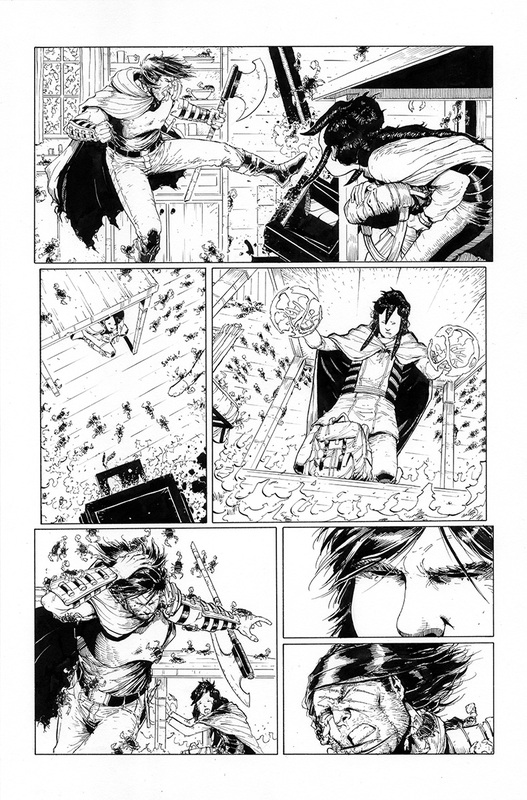 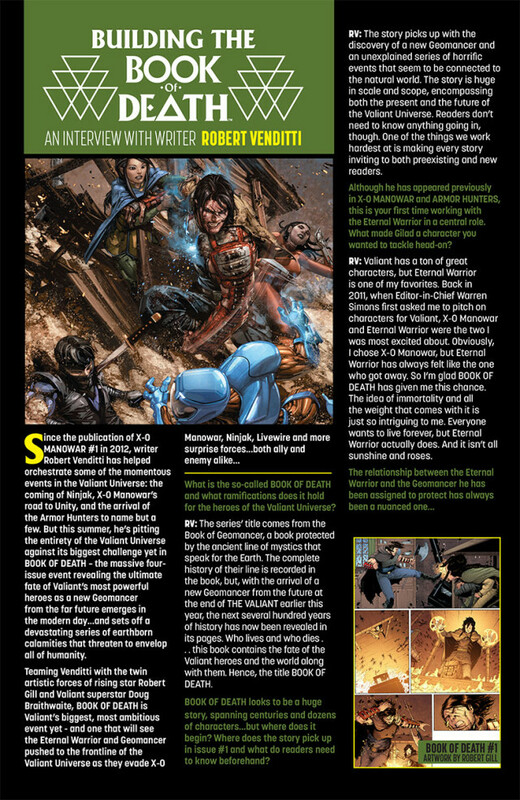 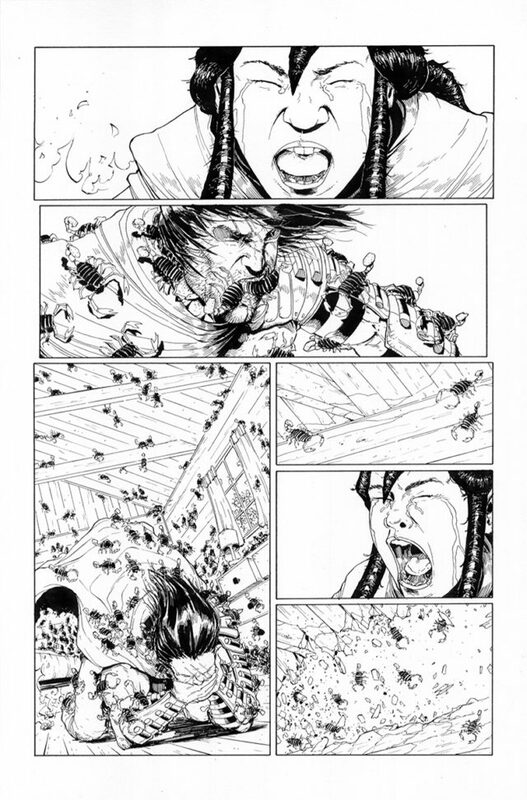 Featuring alternating matte and varnish finishes on heavyweight cover stock, each 40-page issue of Valiant’s highly anticipated summer event from New York Times best-selling writer Robert Venditti and all-stars artists Robert Gill and Doug Braithwaite will leap off the shelf with an “ultra-coated” presentation unlike anything in comics today! 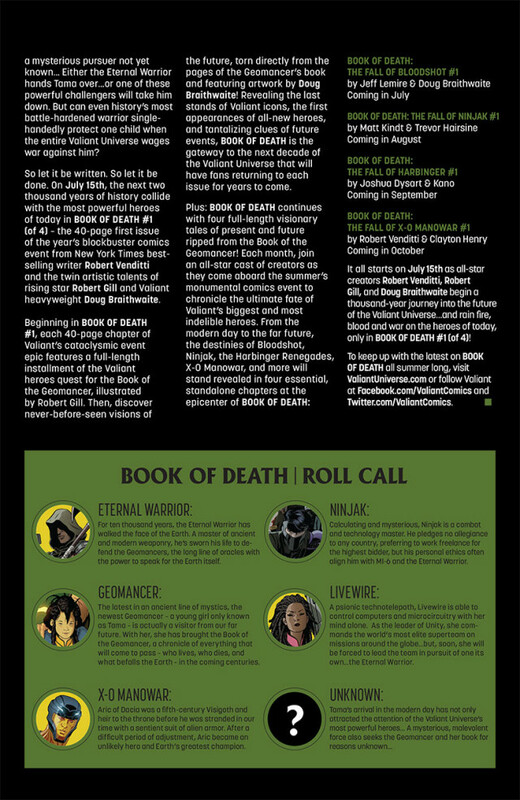 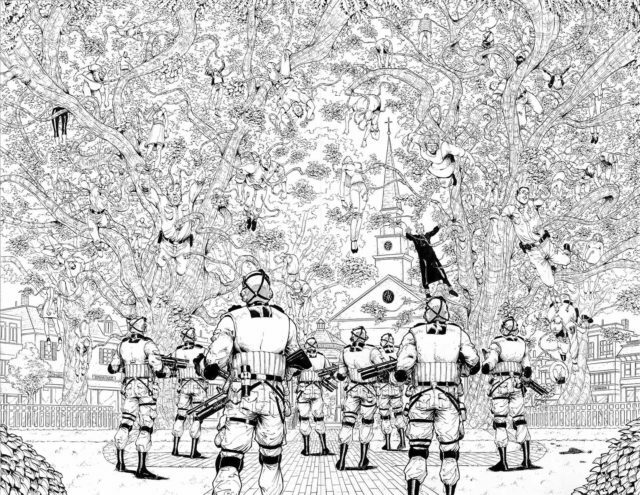 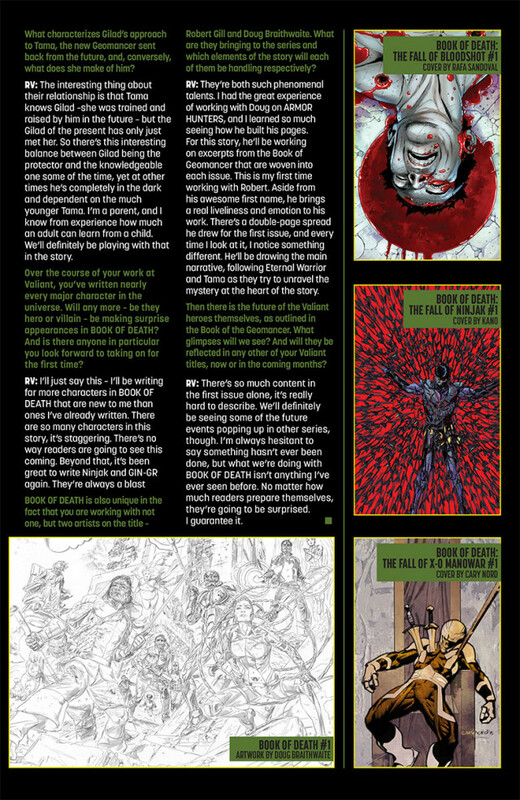 To make sure every retailer has an opportunity to examine this new type of cover process up close, Valiant will be mailing sample printings of the BOOK OF DEATH #1‘s deluxe ultra-coated covers to select comic book stores across the country, along with free BOOK OF DEATH promotional items including posters, pre-order coupons, bookmarks, pens, and more, in advance of the series’ June 22nd final order cut-off date.